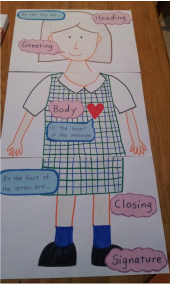 In this unit, students will discuss the importance of writing messages to people they care about. While letter writing contains the same action of writing as any other form of writing, its structure is very distinct. Students learn the five parts of a friendly letter and experiment writing to various people using this structure.